How Will We Manage Skies Filled With Drones? Google, the company that brought order to the Internet, has set its sights on doing the same for the flocks of commercial drones expected to someday clog the skies. The search-engine pioneer is joining some of the biggest companies in technology, communications and aviation, including Amazon.com, Verizon Communications and Harris Corp., in trying to create an air-traffic control system to prevent mid-air collisions. "We think the airspace-side of this picture is really not a place where any one entity or any one organization can think of taking charge," said Dave Vos, who heads Google's secretive Project Wing, in his most expansive comments on Google's vision to date. "The idea being that it's not 'Google is going to go out and build a solution and everyone else has to subscribe to it.' The idea really is anyone should be free to build a solution." At least 14 companies, including Google, Amazon, Verizon and Harris, have signed agreements with NASA to help devise the first air-traffic system to co-ordinate small, low-altitude drones. More than 100 other companies and universities have also expressed interest in the project, which will be needed before commercial drones can fly long distances to deliver goods, inspect power lines and survey crops. NASA conference: Many will attend a NASA-sponsored conference next week on how the system should work. The goal is eventually to create a fully automated robotic ballet in the sky, with computers instructing drones to move around obstructions and each other. Whether the system will be privately or publicly run, or even if it will be a single system, hasn't been decided. Vos said he foresees a day when thousands of drones, all within a few hundred feet of the ground, will routinely ply the skies above cities, reducing pollution by taking traffic off the streets. That could easily dwarf traditional aircraft flights, which max out at 10,000 to 12,000 at a time over the U.S. Computer networks: Google called competitors and government agencies to its own conference in June to share its vision of air-traffic control. The foundation of any system must be trust that all participants will reliably identify themselves and their locations, Vos said. Networks of computers on the ground and in the air will set routes that avoid mid-air collisions. Humans will still be in charge, but unlike the current air-traffic system, controllers must rely on computers to make the split-second decisions necessary to keep drone traffic flowing and safe, he said. Vos envisions a decentralized system with many private operators, most likely overseen by the Federal Aviation Administration. Amazon has been tight-lipped about what it wants. Drone detection: Parimal Kopardekar, a project manager at NASA, is contemplating drone-detection systems to ensure that stealth unmanned aircraft, such as the one that landed on the White House lawn Jan. 26, can be tracked. Just how all this will happen isn't yet known. That has left a lot of room for jockeying among the players, according to Gary Church, president of Aviation Management Associates, who has consulted on drone-related projects for a decade. Will drones be tracked by the same equipment the FAA has ordered traditional aircraft to install by 2020, known as ADS-B? If so, Harris, which built FAA's ADS-B tracking system and is also working with NASA, stands to benefit. 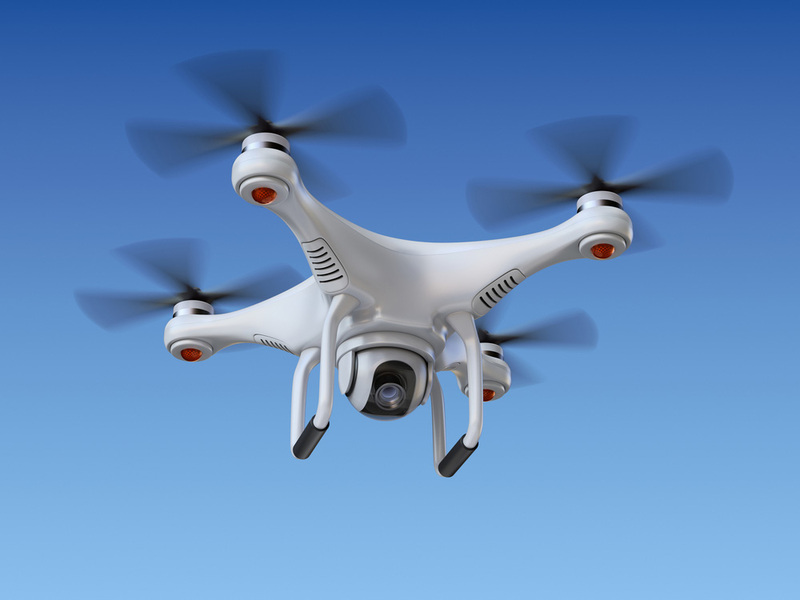 Or will cellular networks be adapted for drone monitoring? That may be a boon for mobile phone companies. Will fiercely independent recreational flyers, who are now exempt from most drone regulations, be required to adhere to new rules? How will the system handle rogue operators who don't co-operate? "It's kind of a big problem statement, but we think it's quite tractable," Vos said. As long as "we force ourselves to think collaboratively, we're pretty convinced that the answers come out pretty clearly." Read more by Alan Levin here.